Go ahead and get comfortable this fall as the kids go back to school and you put on your comfy, spa quality supportive slippers by Vionic. The expert team at Vionic has taken the same Orthaheel technology that they put in their sandals and shoes, and put them right into their slippers promoting positive arch support, heel pain relief and more. 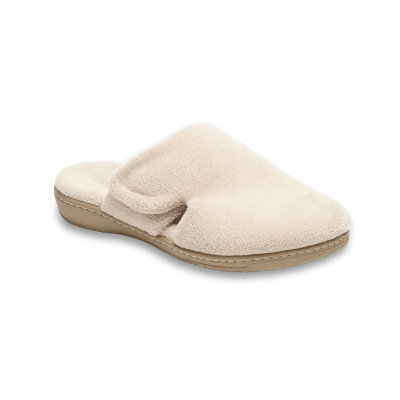 Independently Yours Medical Supplies now carries the Relax and Gemma Mule Slipper, made with 100% terrycloth polyester, treated with anti-bacterial odor-resistant refresh, and are available in multiple sizes. All Vionic Footwear, including slippers, hold a 30 day comfort guarantee. –Help Your Heels: The first steps you take in the morning should be completely supported. Especially if you are walking on hard wood floors. 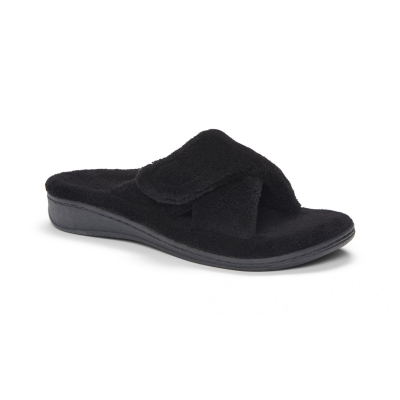 Vionic Slippers feature a stabilizing heel cup to provide confident, comfort and support with each step. –Contoured Arch: Protect your body against hard, unnatural surfaces while you move around the house. The contoured arch designed by Vionic in their slippers provide greater support under the foot, especially while walking on hard surfaces including hardwood, tile floors, concrete or asphalt. –Get Cozy: Treat your feet to the ultimate comfort they deserve with spa quality plushness and unique style. 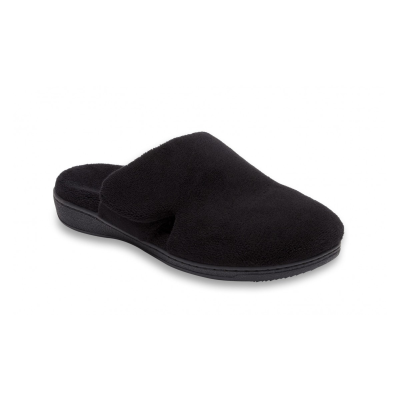 Vionic Slippers feature a firm and flexible midsole for amazing pain relief and relaxation. Vionic Slippers and Footwear are designed with Orthaheel Technology that provides proper alignment which helps reduce common aches and pains by aligning you from the ground up. Vionic footwear has been proved to aid in the relief of plantar fasciitis.